Umesh is handing Public Affairs for Hindustan Coca-Cola Beverages, the largest Company owned Bottler of The Coca-Cola Company in India. His passion for engaging with Communities and making a positive impact on the lives of people in need, prompted him to shift gears from a career in procurement spanning 25 years in diverse organizations. 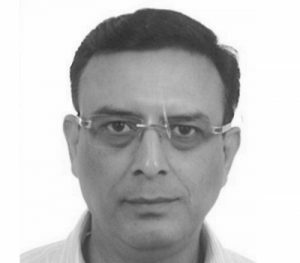 During this stint, Umesh was responsible for developing supply capabilities in India, Nepal and Srilanka for Packaging, Agri and Dairy related categories. Umesh is driving HCCB’s CSR program which currently touches the lives of 85,000 families spanning 64 villages around its Bottling facilities, with initiatives around Health, Sanitation, Education, Women Empowerment and Skill Building. Umesh is additionally responsible for HCCB’s strategic Agriculture initiative under ‘Project Unnati’ which targets to engage with almost 30,000 farmers to enhance productivity and double farmer income for fruits like Mango and Orange in the states of Maharashtra, AP-Telangana, Karnataka and Tamilnadu.